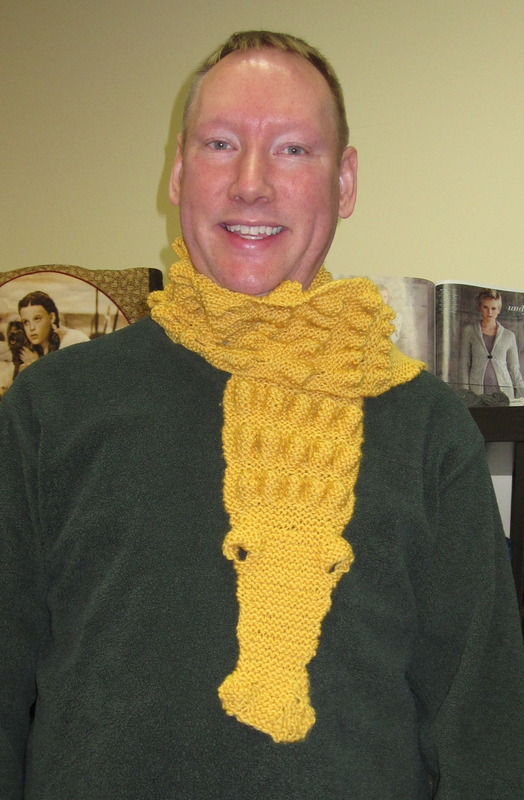 Well I got my alligator scarf completed! !My first knitting project! Woohoo! Our beautiful model today, Samuel Finnegan Hanna, is wearing our alligator scarf, knitted in Cascade Yarns 100% superwashed wool! Isn't Gloria's new baby precious. He is almost a month old here. I have already started another alligator scarf... in green this time... so it looks more authentic! 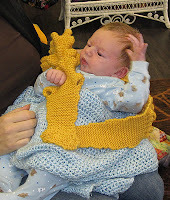 I am going to make the new one a little longer... the golden yellow one just doesn't want to stay around your neck the whole time...and you don't want to walk down the street looking like your wrestling with an alligator...it draws too much attention to yourself!! Like wearing an alligator around your neck doesn't! Love it! Can't wait to see the green one! 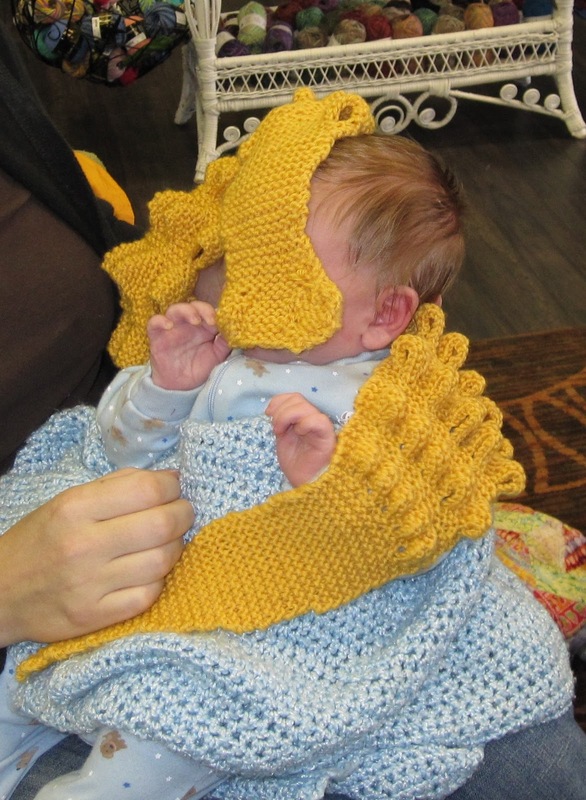 I love the pics of the scarf and baby--and your comment about attracting attention with the scarf because I saw you battling it on your walk home!! Missed you yesterday, hope to see you next week!